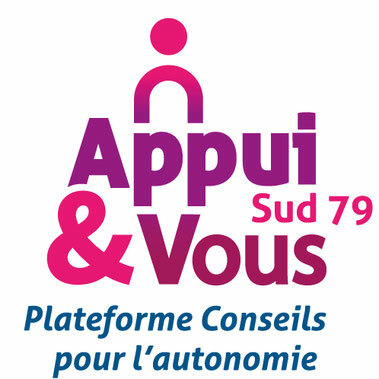 pour mieux l'aider et se sentir soulagé"
Suite à la conférence "du temps pour les aidants" qui s'est déroulée à Celles sur Belle en Novembre 2011, les participants avaient souhaité avoir plus d'informations sur le comportement à tenir face aux personnes en perte d'autonomie et sur l'accompagnement possible de leur proche. "Comprendre mon proche pour mieux l'aider et se sentir soulagé". Cette conférence-débat animée par le Docteur Cacheux, J.L Portron, psychogériatrie et Mme Dieuleveut, Diététicienne a eu lieu à Lezay. Les intervenants ont pu répondre aux questions de la quarantaine de participants présents. You are so awesome! I do not believe I've truly read through a single thing like that before. So wonderful to find somebody with a few original thoughts on this subject matter. Really.. thank you for starting this up. This website is something that is required on the internet, someone with a little originality! Hello, yes this article is genuinely nice and I have learned lot of things from it about blogging. thanks. It's actually very complicated in this full of activity life to listen news on TV, therefore I just use internet for that purpose, and get the hottest news. Hi to every , since I am in fact keen of reading this website's post to be updated daily. It includes good stuff. You ought to take part in a contest for one of the finest blogs on the internet. I am going to recommend this website! I have read so many articles concerning the blogger lovers however this paragraph is really a good paragraph, keep it up. What's up every one, here every person is sharing these knowledge, thus it's pleasant to read this web site, and I used to pay a quick visit this blog every day. You are so awesome! I do not suppose I have read through a single thing like this before. So great to discover someone with a few original thoughts on this subject. Seriously.. many thanks for starting this up. This site is one thing that is required on the web, someone with a little originality! Hello there! This is my first comment here so I just wanted to give a quick shout out and say I truly enjoy reading through your posts. Can you suggest any other blogs/websites/forums that deal with the same subjects? Thank you so much! What's up, this weekend is fastidious in support of me, since this occasion i am reading this fantastic educational post here at my home.